How do Muslims fit into the quilt of American history? Jonathan Curiel investigates this question in his new book, Islam in America (I.B. Tauris, April 28, 2015). "America's first Muslims," he writes, "were perceived as less than human -- people put in chains, forced to do field work at gunpoint, required to take new names and a new religion. So much has changed in 400 years, even if the struggle for acceptance is an ongoing one." Jonathan Curiel is a former staff writer for The San Francisco Chronicle. His work has also appeared in The Wall Street Journal, The New York Times, The Christian Science Monitor, Salon, The Columbia Journalism Review, Los Angeles Times, and Tablet. 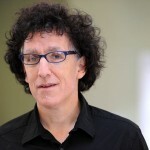 He is the author of Al' America: Travels Through America's Arab and Islamic Roots (The New Press, 2008), which won an American Book Award in 2008. Curiel's new book is a readable and reliable history of the Muslim experience in America. It will help Americans to understand their Muslim neighbors and to celebrate the Abrahamic diversity of religious life in the United States. American Islam is easily defined and easily misunderstood. Upwards of 9 million Muslims live in the United States. More than 2,000 mosques dot the United States. 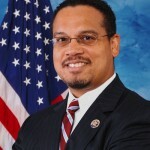 Muslims have had a serious foothold in America for 400 years -- first as slaves, when they were brought here against their will from West Africa; and then as immigrants in the 19th century, when they arrived on their own volition from the Middle East and Europe. By 1900, when Alexander Russell Webb, a prominent white American, had converted to Islam and preached its values around the country, Islam was a viable religion in the United States. It was also a vilified religion, castigated by those who called it "Mohammedanism" or another name that implied its tenets and practitioners were less than desirable. This dual existence -- an increasing presence accompanied by a semblance of prejudice -- continues today. How diverse is today's Muslim community in the United States -- ethnically, racially, ideologically, and demographically? The United States has one of the world's most diverse Muslim populations. Sunnis are a majority, but a sizable Shia community exists, along with a myriad of other affiliations that have strong membership bases. 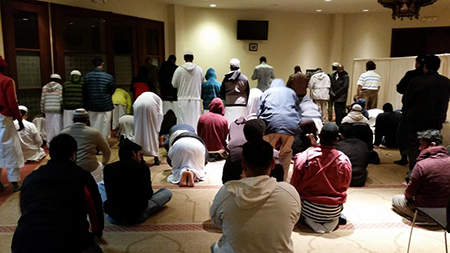 One mosque that I profile in my book, al-Farooq Masjid of Atlanta, has members from more than 30 nations -- from Africa, Asia, Europe, and elsewhere -- praying side by side with white, black, and Hispanic Muslims born throughout the United States. Islam's diversity in the United States offers an inspiring vision of the religion. When Malcolm X went on the hajj to Saudi Arabia in 1964, he was shocked to witness a similar diversity, and it prompted him to abandon his beliefs in the Nation of Islam for traditional Sunni Islam. He said he'd encountered Muslims "of all colors, from blue-eyed blonds to black-skinned Africans" who were "all participating in the same ritual, displaying a spirit of unity and brotherhood." Compared to Europe, American Muslims are well-integrated into society. They are also, generally speaking, better off economically. In 2007, the Pew Research Center issued a comprehensive study of American Muslims titled, "Muslim Americans: Middle Class and Mostly Mainstream," that showed U.S. Muslims' income levels far outpaced those of Muslims in France, Spain, Germany, and Great Britain. American Muslims also hold less extremist views than European Muslims, the report said. One example: In the United States, 8 percent of Muslims believe that suicide bombings are "often" or "sometimes" justified to defend Islam, compared to 16% in France and Spain, and 15% in Great Britain. A 2011 report by Pew reconfirmed its 2007 findings, and found that a majority of American Muslims had close friends who were non-Muslim, and a majority believed that American Muslims wanted to "adopt American customs and ways of life." Fitting in, in other words, is important. Why do you say that "American Islam is in a transition period"?